In Order To Prove How The Illness Was Caused, A Scientist Purposely Gave Himself? 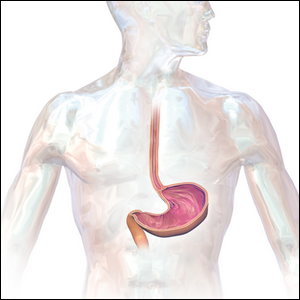 For the longest time, the standing theory about peptic ulcers (more commonly called stomach ulcers) was that they were caused by stress and spicy food. Patients stricken with ulcers were commonly urged to engage in calming activities and even switch away from high stress occupations. In the early 1980s, two Australian doctors, Barry Marshall and Robin Warren, began exploring a completely different hypothesis: that ulcers were caused by bacteria. Their interest in the matter, research, and eventual hypothesis that ulcers were caused by the spiral bacteria H. pylori were widely mocked in the greater scientific and medical communities since it was believed that no bacteria could survive the harsh conditions of the stomach. Eventually, after numerous frustrations in their research (H. pylori grows slowly and the first 30 out of 100 early samples were ruined when lab assistants disposed of the culture samples too soon) and poor reception of their work in scientific journals, Barry Marshall took matters into his own hands. In 1984, Marshall had his stomach cultured via endoscopy to establish that he was free from H. pylori, then he drank a broth laced with a culture of the bacteria. He anticipated that he would fall ill with an ulcer within a year or more of ingesting the broth, but was shocked to find out that within a matter of days, he was symptomatic. Eight days after ingesting the laced broth, he had another endoscopy which revealed that his stomach was severely inflamed and the bacteria had completely colonized it, and after a course of antibiotics starting on the fourteenth day, he was cured. Today, as a result of the research carried out by the duo and by Marshall’s willingness to be a guinea pig, we now know that H. pylori is one of the major causative factors of stomach ulcers (NSAID pain relievers like ibuprofen are the major causative factor of non-bacterial cases). In the end though, a few weeks of stomach problems aside, Marshall had the last laugh. Not only was their research immediately validated, both eventually won the Nobel Prize in Physiology or Medicine for their work.